Trig simplification can be a little tricky. You are given a statement and must simplify it to its simplest form. The problem is that sometimes you don’t even know where to begin. Your eyes are glued to the problem, your head begins to hurt, and you keep writing the same equation over and over. I’ve been in that position before and hope to help make sure that never happens again. 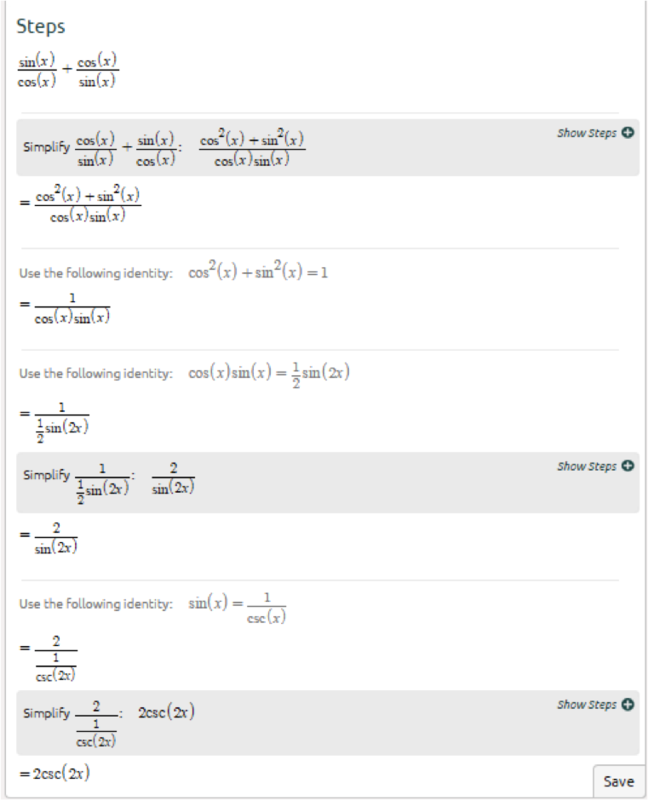 In this blog post, we will go over very helpful trig identities and some examples of trig simplification. Although I haven’t listed them, memorizing algebraic properties, like how to expand or factor polynomials, will be helpful too. There is no exact formula you can follow to simplify these functions. That is why I won’t be going over a problem step by step. However, I will give you some tips on how to approach these problems. Now that you have some of my tips and tricks in mind, let’s see some examples. I can’t see any immediate simplifications when I begin, but I know that I can rewrite \cos^2(\theta). By doing that, it opens the function up to be simplified. In this problem, there are two fractions. I want to get rid of them, so I combine them into one fraction. By doing that, I immediately see I can rewrite the numerator. 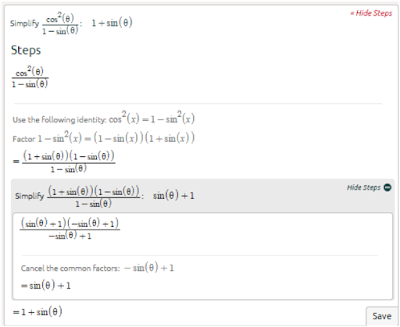 There are now two different trig functions multiplied together in the denominator. I want to rewrite one or both of the functions, but I remember an identity and rewrite both. Sometimes your first try of simplifying might go awry. Don’t give up! Try again. It may be frustrating, but the more practice and experience you get with these problems, the better you will become at trig simplification. Remember my tips and tricks and it should make your life a little easier. Superb work , I have visited your site for the first time. 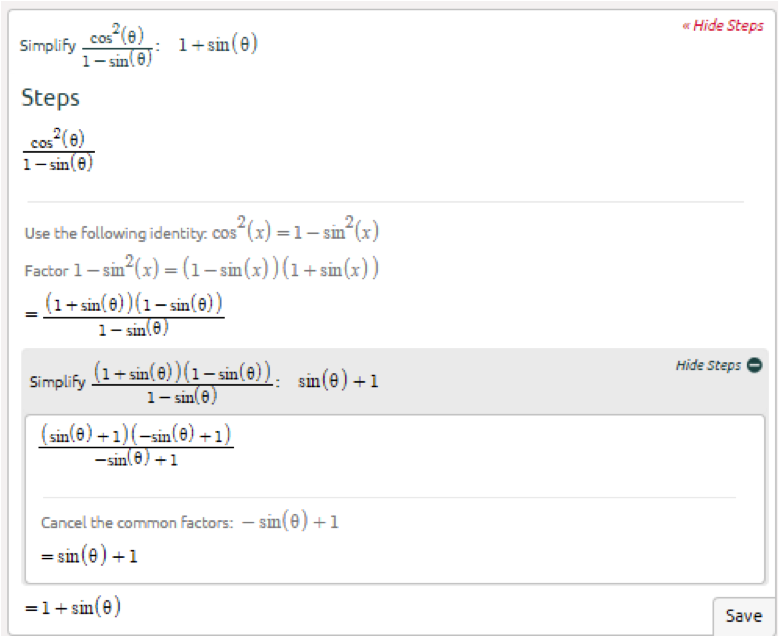 Thank you very much for having such a informative blog.writing the identical equation time and again. 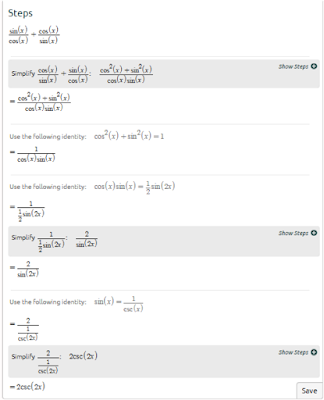 I’ve been in that position before and desire to help make sure that by no means takes place once more.I'm working in OOH advertising on this blog publish, we can cross over very beneficial trig identities and a few examples of trig simplification. Check out this article, guys, that's some really useful and educative information! Very informative trigonometry made easy. 10th, +1 and +2 students must know about this.